Our search for Noah’s school is over. We’re sending him to Kites & Strings Learning Center in Mayflower St., Mandaluyong City. We’ve been looking at pre-schools in Mandaluyong for years but it’s only recently that we decided where to send our 3-year old for Nursery. There are a lot of pre-schools in our area but most of the really good ones have tuition that start at 90K. We live in Mandaluyong – San Juan and Manila boundary so we have a lot of choices. Just a 2-minute walk from our house is Jose Rizal University. Five minutes is Don Bosco Mandaluyong and Don Bosco Sta. Mesa Manila. There’s also my alma mater, St. Mary’s Academy of Sta. Ana Manila, but they don’t offer Nursery classes. I’ve always imagined sending him to my old school at least for pre-school but we decided not to send him to a Catholic institution. I have nothing against it but we’re not Catholics, we’re Born-again Christians, and we don’t want him to be confused this early. We thought of sending him to his dad’s old pre-school, OB Montessori in Greenhills, that or the Manila branch, but I heard tuition is around 80k. There is no way we would pay that price. Josh also went to the International Christian Academy for a year. It’s a good school but it’s in the South. Never mind. Ateneo, where he studied Prep until College, doesn’t offer Nursery classes. So much for those schools. Maranatha Christian Academy is a Christian school but it easily got a thumbs-down from my mom-in-law because our churchmate had a very bad experience with that school. Kiddo Academy is a bit far from us but I liked that it’s located inside a condo and parents are allowed to view the school’s CCTV cameras remotely. Kingsleigh is inside a mall so it’s dangerous for me. As for the rest of those in our list, they are very near our house but tuition are very expensive. And then I remembered Noah’s playschool. He joined the Toddler Classes at Rainbow Room Learning Center in Tivoli Gardens along Coronado St.– where I grew up. Also an expensive school but because it’s near my old house, we thought it’s okay if we enroll him there, after all I’d be visiting my grandmother more often. Last year, tuition was around P55,000 so we expected it would increase a bit this year. Price range is okay for us. Even better because a branch nearer us would be opening at along Martinez St. (formerly Nueve de Febrero St.) although we were pining for the Hulo branch already. I already expressed our intent to enroll Noah with his Teacher Rom and even thought of letting him join the summer programs. We dropped our top choice because our home church…IS finally opening a school. Our church is where Joshua and I met, nurtured our friendship, grew together in love, developed our relationship, and are still serving and attending. It used to be just a dream for me and the other church members but God, in His goodness, mercy, and grace, are making more impossible things done. Everything happened so fast. I have no idea how the pastors and the school staff are doing it right now. All I know is that God has given our church a vision and He is now making greater things happen. My home church, International Charismatic Service, In Christ our Strength, has been greatly blessed, allowing us to open a school. We’re starting small but with the resources God has been giving us, it seems to be bigger than we’ve imagined and prayed for. The church office has been transformed to a Pre-school. The area used to be our Sunday School too but now it’s back to being a place where kids can learn more about God and His people. It is perhaps where Joshua and I first met. It was only last week that I got to visit the school. But prior to checking it out, I already chocked upon seeing the new Children’s Church upstairs. 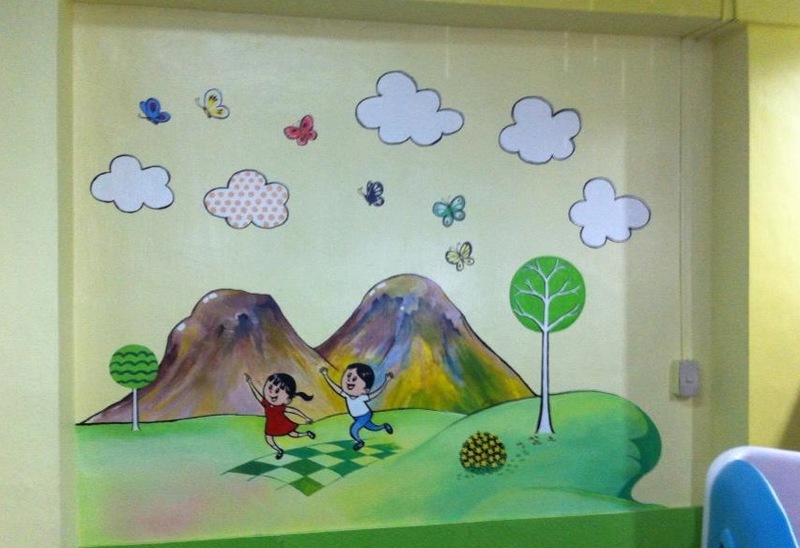 The church office has been moved to the 2nd floor so the children’s room became smaller. I went inside the messy Sunday School alone. I looked around and tears welled up in my eyes. Tables and chairs everywhere but I could spot the beauty in it. THIS IS IT. I thought. I grew up learning about God here. Joshua and I both discovered our faith in this same room, in this same church… and now, our son Noah will start to learn about this Great God of ours– in this same blessed place. 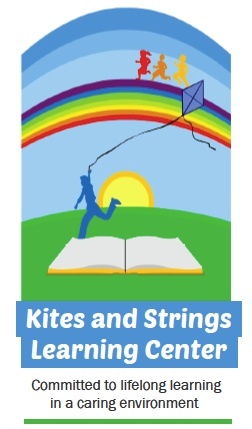 Last Sunday, we dedicated Kites & Strings Learning Center to God. That was after we dedicated the new church office. Yes! God is good! All these and more, less than a year after we opened the 180 Activity Center. For a while, we even postponed our search because we thought we would be moving. I never really expected that God would end our search this way. It was an answered prayer. We have more than a month to prepare and pray for this new school. I know in my heart that it was God who is making great things happen in our church. I am glad that my family– Joshua, Noah, and I– will be part of this new endeavor. We see this as a journey— a journey towards learning– not only for our child but also for us parents heeding to God’s call to train Noah in the way he should go (Proverbs 22:6) and to bring him up in the discipline and instruction of the Lord (Ephesians 6:4). Picking the right school is really important as this would be their foundation when they grow up.